Purchase this home before the Spring Rush, it's COMPLETED AND WON'T LAST. 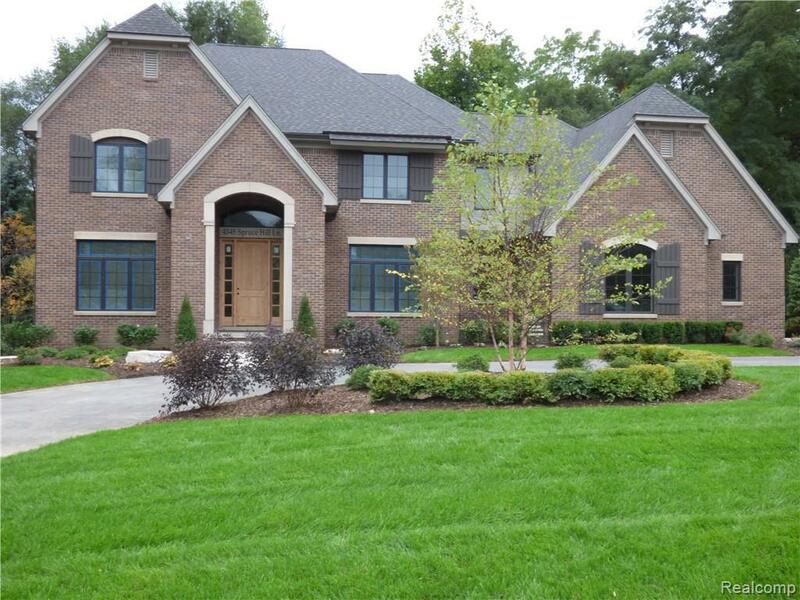 Sophisticated New Construction by Bloomfield's Premier Builder. Beautiful architecture by Martini Samartino Design Group. Over 4,100 sq. ft. of well planned, flowing living space. Gourmet Kitchen, Butler's Pantry leading to Large Dining Room. Library, Family Room, and Mud Room. All Suite Bedrooms, Walk-in closets in every bedroom suite. Stunning Master Suite, unbelievable walk-in closet complete with Island. Fabulous location near Country Clubs, Private Schools, dining and more. Tranquil setting with nature/walking trails. Award winning Bloomfield Schools. Inviting deck for entertaining. Includes Appliance, Landscaping and other high quality extras! 4 car garage. Schedule showing to see this property today! MAKE SURE THIS PROPERTY IS INCLUDED IN YOUR NEW CONSTRUCTION MUST SEE LIST! IDX provided courtesy of Realcomp II Ltd., via Hill & Harbour Realty Lc and Realcomp, ©2019 Realcomp II Ltd. Shareholders.